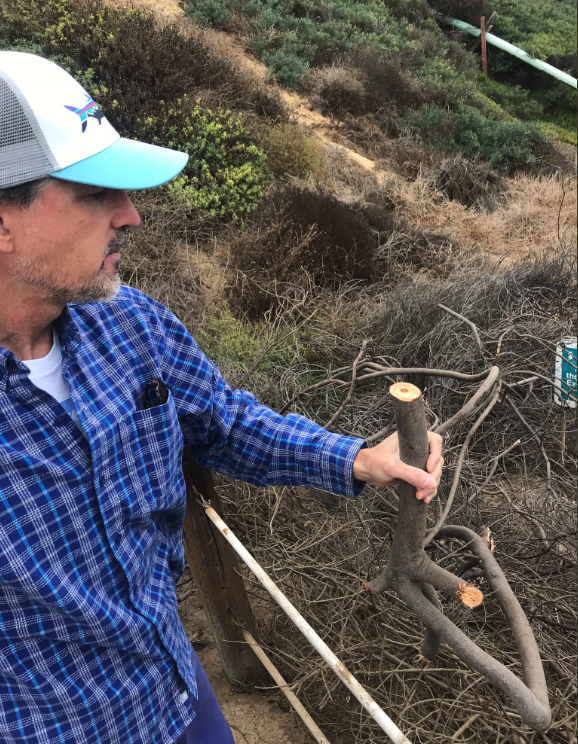 ENCINITAS — Already upset with the developments in the city’s efforts to build a new staircase at Beacon’s Beach, a group of residents is upset over some seemingly impromptu brush clearing done along the beach’s iconic switchback staircase. Last week, the “Preserve Beacon’s” group noticed that maintenance crews had paired down a large shrub near the base of the switchback staircase, and piled the shrubs along a dirt path that shoots off from the switchback to the beach below. “Destroying or removing sensitive bluff vegetation and potential habitat and then dumping dying branches across parts of the trail as a way of blocking it is insensitive, negligent, and does not reflect conscientious stewardship of the Beacon’s landscape in any way whatsoever,” Marsh said. City spokeswoman Lois Yum confirmed that the city did authorize the brush clearance and placed the shrubs along the path, which she said is an illegal trail. Yum said the city plans to clear the brush in coming days. Marsh, who said that surfers have used the short path for years as a shortcut down to the beach as opposed to walking the final leg of the switchback, said he thinks the city is removing it is because of the group’s outcry over its placement. The brush clearance is the latest episode in the group’s recent clash with the city over Beacon’s Beach and the city’s proposed concrete staircase that would supplement, and ultimately replace the switchback, which is located against an unstable coastal bluff. 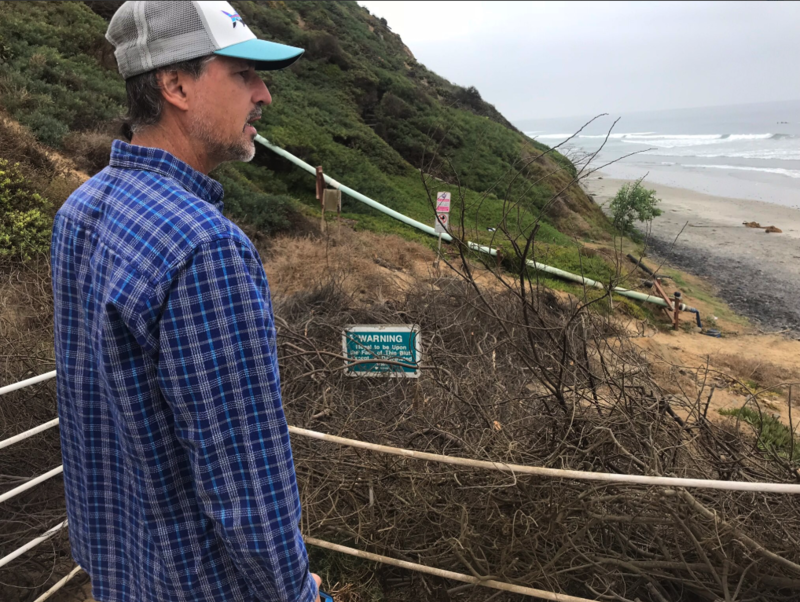 Encinitas has been grappling with how to fix the bluff, which threatens the switchback and the parking lot atop the coastal bluff at the beach. 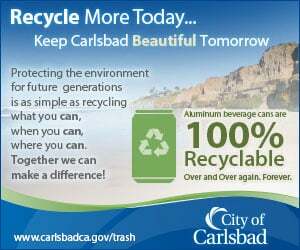 The Planning Commission voted in July to send the project, which was endorsed by Surfrider Foundation San Diego, the California Coastal Commission and State Parks, back to staff over concerns that the staircase was a bad fit for the community and the beach. At a recent workshop, however, Marsh said that the city appears poised to make very little, if any changes to the design. “The process up to this point has been incredibly frustrating because we feel that we’re being ignored,” Marsh said. “Over 1,100 people have signed the Preserve Beacon’s petition advocating for the trail and bluff to be preserved and protected, and yet the City continues to push the stairway agenda and a bluff-top parking plan that would reduce available parking and compromise public safety by narrowing and crowding Neptune Ave.
Marsh said he believes the city could step up its maintenance of the trail in an effort to stabilize the bluff with minimally invasive efforts, such as sandbags and other reinforcements. During a tour of the switchback, he pointed out old sandbags, partitions and a stark contrast in vegetation from the public area of the bluff to adjacent private areas, which he believes shows that the city has been lax with its maintenance of the bluff in an effort to accelerate its demise and promote the staircase. “There are much more sensitive and responsible ways of caring for the Beacon’s habitat,” Marsh said.